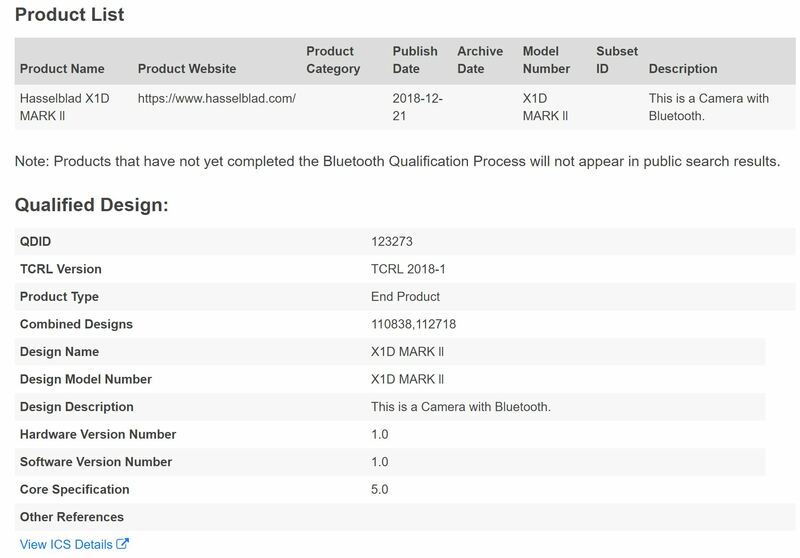 Hasselblad X1D Mark II Medium Format Mirrorless Camera Registered ! Hasselblad will soon announce a new X1D Mark II Medium Format Mirrorless Camera. This camera has already got registered at Bluetooth.com. Author CameraeggPosted on February 2, 2019 Categories Medium Format, Other CamerasTags HasselBlad Rumors, Hasselblad X1D Mark IILeave a comment on Hasselblad X1D Mark II Medium Format Mirrorless Camera Registered !